Tume's donkey carries water for three households. 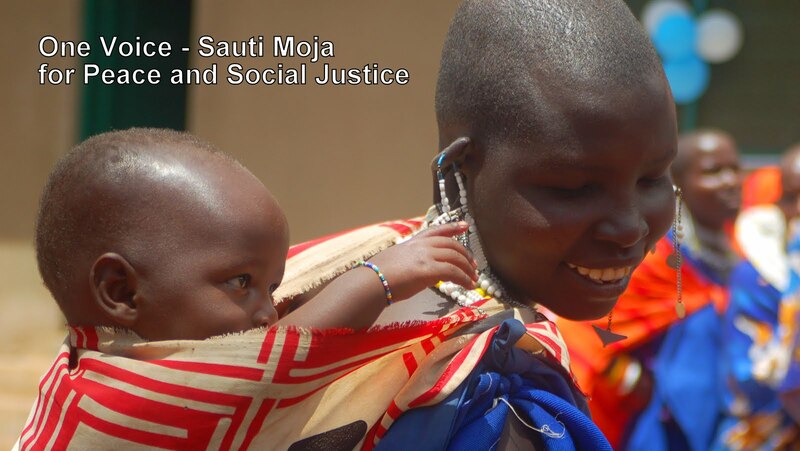 Working with some of the most impoverished people groups in East Africa, we at Sauti Moja have heard an expression, “I’m not giving to a rusty bucket.” This comes from one who believes that support does not take hold or make a difference, so why bother giving. Well, this story represents one of many examples of the transformation livestock can bring to poor single mothers or widows. Our lives and overall wellbeing in Canada are not usually linked to owning livestock, but in the world of an indigenous pastoralist living in the rural landscape of Northern Kenya, livestock equals life. 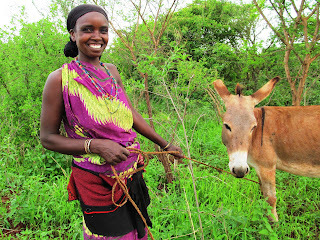 Tume, a widow with 5 children, is a beneficiary of Sauti Moja’s ‘Livestock for Sustainable Livelihoods’ program and her story reveals how positively her life has been impacted after she received a donkey and four goats from Sauti Moja. When our staff were first introduced to Tume, she had no livestock and she awoke each day desperate to find casual labour in order to feed, clothe and educate her children. Her income source was usually burning charcoal, which is amongst the hardest of labours with very little return. Life was drudgery and she had lost hope that anything would ever be different. In any culture poverty is isolating and Tume’s life was definitely one of marked poverty, which left her isolated from community. still thriving, as well as her children. ﻿The day that Sauti Moja delivered a donkey and four goats to her home, she was in disbelief, and this was also the moment that Tume’s life changed. Her new goats began producing milk in less than a month and her children have enjoyed the benefits of nutritious milk since that time. But it is even better than that! 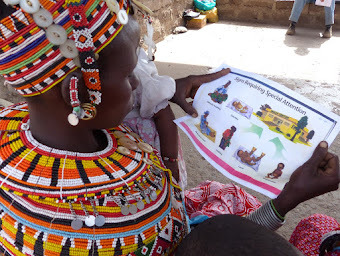 Tume, having completed the ‘pass-on’ requirements of the program, helped another needy widow in her village by giving her the first female offspring from her donkey and goats. After Tume received her livestock and completed the pass-on, she was lifted-up as a recognized and respected member of her village community. 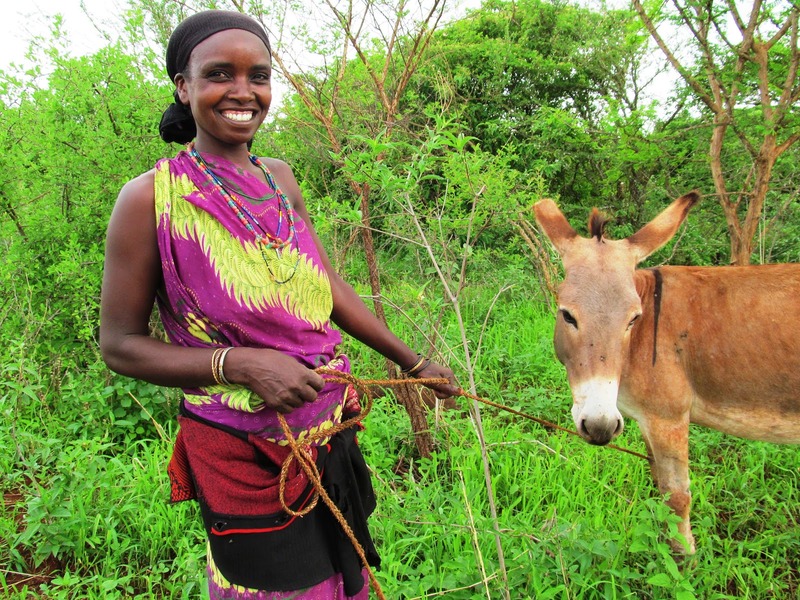 The tables had turned, and now Tume was able to assist other households by giving livestock, milk and water brought by her donkey. Two years later, Tume having nurtured her livestock through a long drought, now has a thriving herd of 21 goats. 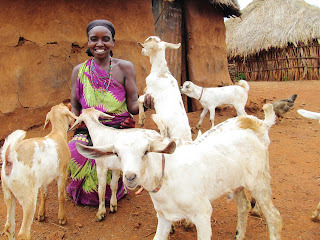 Tume’s livestock have not only given her children milk and community status but have provided her the ability to pay school tuition fees and buy other needed food supplies through the occasional sale of a male goat on the market. Tume has certainly proven that Sauti Moja donors are not giving to a ‘rusty bucket’ and Tume thanks God and the Sauti Moja community for their compassionate support.